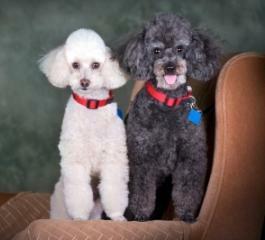 Like us, our pets need healthy poodle food, healthy nutrients, and healthy diets. With so many dog foods containing unhealthy chemicals and preservatives, you may want to consider natural dog food or making your own food for her. Organic dog food is an option, too. You want to ensure he receives the right balance of nutrients (carbs, fats, vitamins, minerals, protein) daily. The proper balance is essential for dog health and nutrition, maintaining health, stamina and vitality. It helps your puppy build muscle and bones, including teeth. Puppies have low requirements for calories so take into account the number of treats (and the number of calories they contain) you give him each day. Learn how much to feed them and what the best food is for him. Factor the treats into what calories he gets in his daily meals and adjust the treats as appropriate. You don't want an overweight puppy! Protein is needed for a puppy's growth, fighting infection, repairing tissues and the building and maintenance of muscle. It's in chicken, beef, lamb, eggs, milk and fish. 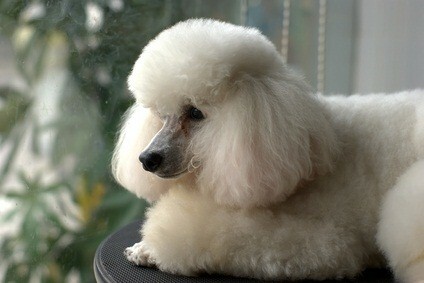 Carbs and fats provide your poodle with energy. Your poodle gets carbs in grain and vegetable products. Fats also keep his nervous system healthy and help to make his food taste good! Just like humans, dogs need vitamins and minerals for healthy body function and bones. Deficiencies in these can cause illness in your pet. Read dog food reviews on all the dog foods to help you decide what to feed your pet. Learn why it might be best to make your pet homecooked meals and what meals to cook for him. Check with your vet before you decide to use supplements in addition to the ones he gets in his food. Overdoing can cause undesirable side effects. And learn what foods never to give your dog as they can be dangerous to his health. While there is no one best dog food, a well balanced dog food, whether store bought or homemade will have the right vitamin content. Essential minerals for poodle nutrition like calcium, magnesium, potassium and iron will also be found in the right dog food. Calcium and magnesium build his bones and muscles, potassium helps maintain his nervous system and iron keeps his blood healthy and provides energy. Learn how to read dog food labels to know what to look for in dog food, and decide if a raw dog food diet is right for your poodle. If you have an overly energetic dog, check with your vet to see if she may need more fats and proteins for energy than a less active or older dog would need. And, as your dog enters her senior years, she may need less fat and protein. Senior dog food may also have glucosamine or omega 3 fatty acids to help keep arthritic joints at bay and omega 6 for healthy skin. Be sure to provide your pet with lots of water. It's as essential to them as it is to us. Change her water bowl often throughout the day to keep it fresh. Wash her bowl each day, too. Standard, miniature and toy poodle nutrition is something every poodle owner needs to be concerned with. 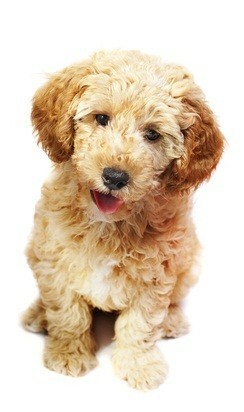 A balanced diet will help your puppy grow into adulthood healthy and will keep your senior poodle healthy.